WhatsApp is having a busy 2019. It has been adding new features every other day and now with the new beta release the Facebook-owned company has added another nifty feature. 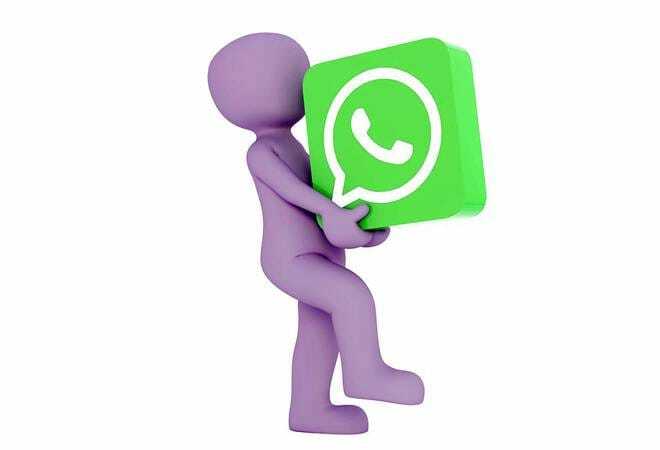 The WhatsApp for Android beta version 2.19.33 gives the messenger app the ability to download a single sticker from a pack. Earlier, there was no option to download a single sticker and the users had to download the whole pack even if they wanted only one sticker from the pack. The beta testers for the WhatsApp can check this new feature before it is made available for everyone. In case you are a beta tester, you can update your WhatsApp Messenger to the new Android beta version 2.19.33. After downloading the update, open the in-app WhatsApp Stickers Store and long press on a sticker in a stickers pack you have not downloaded yet. WhatsApp will then prompt to ask if you want to save that sticker as favourite. It will show you the download size of the single sticker and offer a download option at the bottom for saving the sticker in the app. First spotted by WhatsApp beta news tracker WABetaInfo, the ability to download just one sticker is very useful. First of all it will save your phone’s space and will make your sticker menu uncluttered. It will be nice to have the relevant stickers at your disposal. It also saves valuable internet data for all the limited pack users. WABetaInfo also said that the Android 2.19.33 beta update also indicates that WhatsApp plans to introduce its WhatsApp Pay feature in some more countries like Mexico and USA. It also added that the new features about private sharing in groups and improvements for stories would also be introduced soon. Earlier in February 2018, WhatsApp had introduced WhatsApp Payments in India for both Android and iOS apps. However, the Payments feature got stuck in the regulatory hurdles and has not taken off yet.